It’s no secret that Mitsubishi has joined forces with Nissan, which can only be described as a major event in both brands’ history. Although it’s still early in the two brand’s relationship, speculation is already flying. In fact, Mitsubishi Australia seems fairly confident that the merger could bring a new Mitsubishi Lancer Evo to the road. The joint efforts of Nissan and Mitsubishi will ultimately aim to create a stronger passenger car lineup. The next-generation cars could ride on Nissan-Renault’s modular CFM architecture, a system which could save money and make a new Lancer Evo a possibility too. The two brands will also share technology, which will make introducing new technologies into vehicles a more cost-effective process. By joining forces with Nissan, Mitsubishi lands among the top three automotive groups in the world, based on sales. That gives the brand a lot more capital and flexibility. Considering the Lancer Evo was cut from the lineup for cost reasons, it isn’t out of the question that we could see a return in the future. Mitsubishi confirmed that it is set to work on a new Lancer and Triton truck. Reviving a famed performance car could be a great way to set the tone for the company’s future. 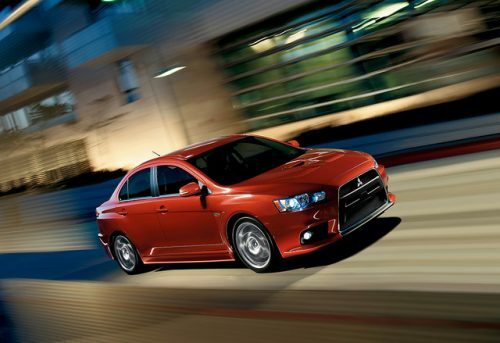 We here at Don Robinson Mitsubishi hope that we’ll see a new Lancer Evo sooner rather than later!